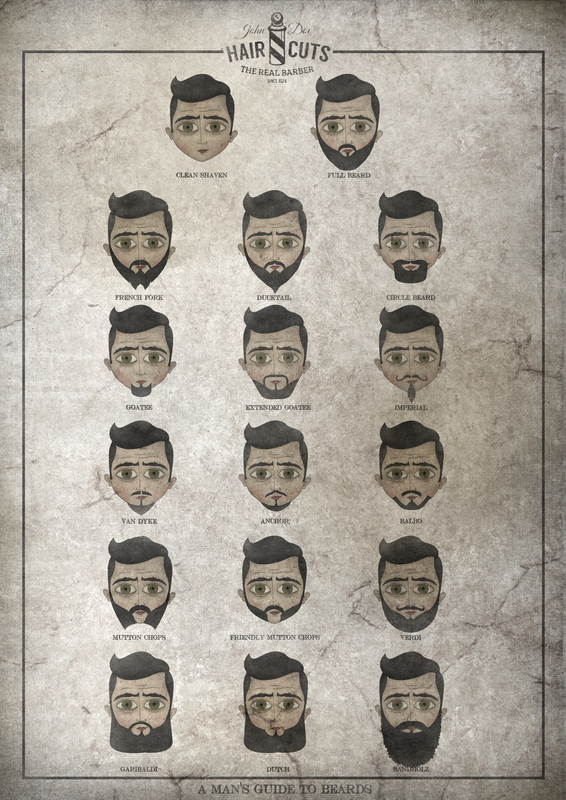 Poster ilustrado sobre los diferentes tipos de barbas. Elemento decorativo para la Barbería “Hair Cuts”. Illustrated poster about the different types of beards. Decorative element for Barbershop “Hair Cuts”.